Buy great properties at discount prices the easy way. We have access to tons of properties in your area for the lowest prices in the marketplace. Get access to our full inventory today! Complete this form to join our VIP Buyers List and get instant access to "The Hot List" and our FREE report, "Special Report: The 22 Best Sources for Finding High Growth Investment Property." Finding your next great property doesn't have to be frustrating or time consuming. We've already done the heavy lifting, making the buying process easy for you! We have a large inventory of properties in your area that are ready to be sold at below market value prices. 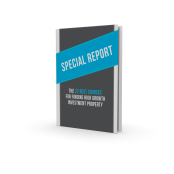 By joining our VIP Buyers List you'll get immediate access to our entire inventory of properties AND our new FREE report, "Special Report: The 22 Best Sources for Finding High Growth Investment Property."